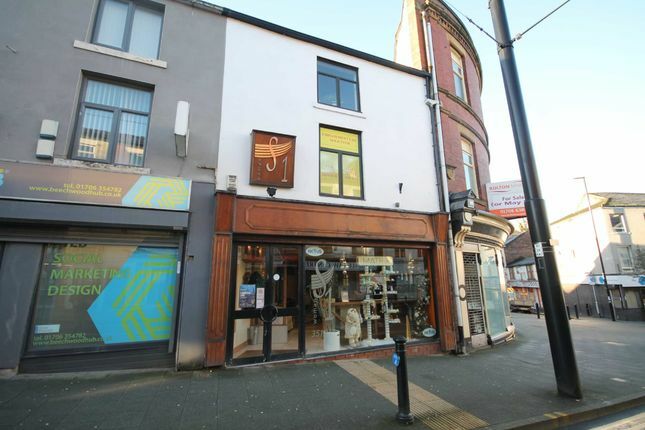 Face 2 Face are delighted to offer this ready to move in beauty salon ready for any stylist or entrepreneurs looking for a ready to move in opportunity. The space includes three separate rooms which could be used for sunbeds, work stations, nail stations etc, a separate w/c and a fitted kitchen. The premises is the basement level and ground floor. Property descriptions and related information displayed on this page, with the exclusion of Running Costs data, are marketing materials provided by Face2Face Estate Agents, and do not constitute property particulars. Please contact Face2Face Estate Agents for full details and further information. The Running Costs data displayed on this page are provided by PrimeLocation to give an indication of potential running costs based on various data sources. PrimeLocation does not warrant or accept any responsibility for the accuracy or completeness of the property descriptions, related information or Running Costs data provided here.